Tuesday | July 25, 2017	Your best bet on one of the best cakes available in town, Bakerzin’s very own Chendol Mousse Cake, one that insinuates perfection subtly, yet leaving an indelible impression on you for days to come. In conjunction with NS50 celebration and Sinapore’s 52nd National Birthday, a thoughtful creation of an illustrious masterpiece was borne. 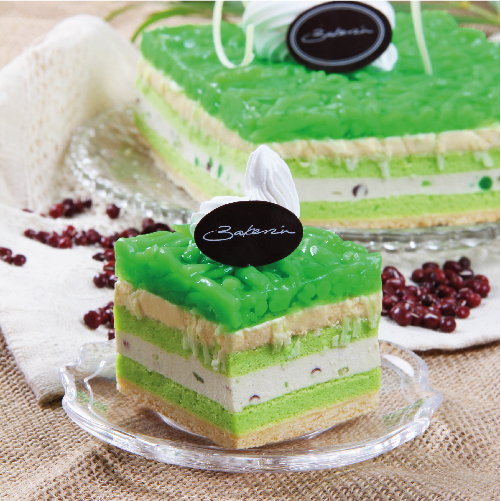 Each luxuriant tier in the Chendol Mousse Cake exclaims with vigour; The pandan sponge from pandan leaves extract heightens its aroma and flavour, giving the texture its light and gentle touch. The next two layers are your tipping point, chendol cream of red beans and attap chee (a translucent jelly-like fruit) and sweet scented gula melaka cream, a seamless augmentation of the overall taste profile! Now, the icing on the cake, a generous spread of delectable Chendol Jelly, gives perfect color and dimension of the cake to another level, you have to try it for yourself! Grab yours now at Bakerzin outlets and eshop.